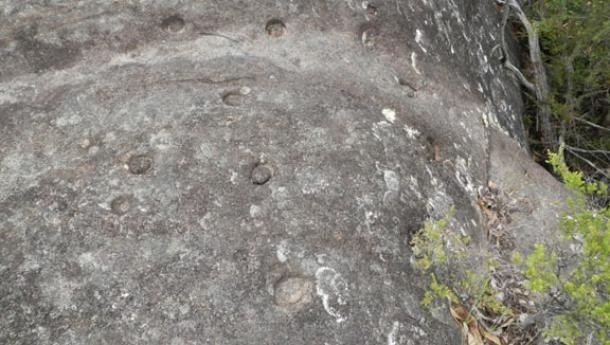 A cluster of engraved astronomical markers found on a series of rock platforms suggest that the interstellar inhabitants of Kariong created a map of the heavens. To begin with, we are by no means the first to see these engravings, undeniably many have obviously seen the thousands of engraved circles over the years, but amongst non-Original circles nothing seems to have registered. 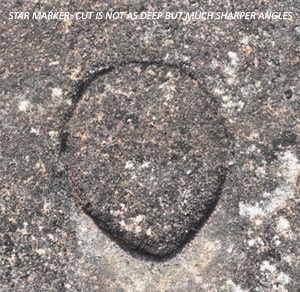 It wasn’t until researcher Paul White was assessing the credentials of the extremely contentious set of 300 hieroglyphs found on three sandstone walls near Kariong, in work not related to any astronomical issues, he and his colleague came upon the set of star markers closest to the glyphs. Soon after the positioning and alignment of these Original engravings of the night sky was fed into computer software at Sydney University and according to White, “the star charts reveal an unbelievable match with the star pattern above Gosford around the year 2,500 BC. The whole thing is a giant star map”. Coupled with the advice Original Elder Gerry Bostock gave when reminding us this place resonated to the celestial theme of “as on top so below”, and the fact that the original Creation Spirits are also called Sky-Heroes, all of these Original truths convinced us that the chances are high that many of these engravings/constructions serve astronomical purposes. 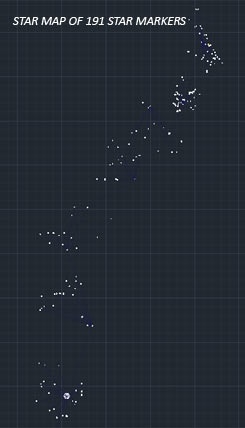 If so, how far does this “giant star map extend”, and just as significantly, is “the whole thing” limited to mapping the stars? How sophisticated and ancient is this astronomical complex, and in what way, if any, does this site fit into the present expectations and notions relating to pre-Cook Original history? 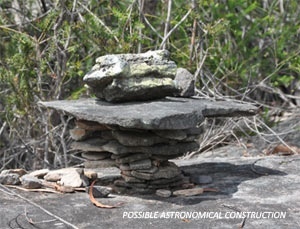 The oldest astronomical construction is found at Wurdi Youang (Victoria) and contains a sizeable set of rocks that mark “the setting sun at the solstices and equinoxes when viewed from the three prominent stones at the western apex” and is considered to be between 10,000 to 20,000 years old. As impressive as this construction undeniably is we believe it pales by comparison. 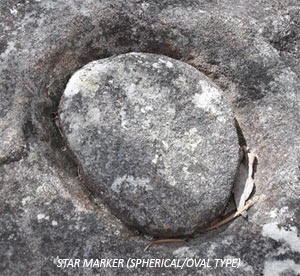 Star patterns, alignments, solstices, plasma events, eclipses, perhaps even binary star systems, this and so much more has been constructed or engraved into the rocks and positioned along one ridge near Kariong, and is far more sophisticated. Not only is this site more numerous and complex than Wurdi Youang, with a base date of 4,500 years already factored in, it would not surprise in the least if one of these engraved star charts is found to be older than Wurdi Youang.